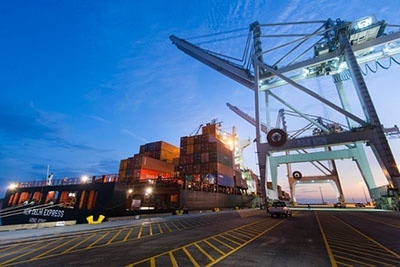 Port Houston now handles the lions’ share of the cargo that is brought into the United States by the big furniture wholesaler. Located in Forney, just outside of Dallas, Steve Silver Co. operates from a 500,000- square- foot, 150-dock warehouse and distribution facility that is state-of-the-art. Today, Steve Silver Co. has extensive overseas sourcing and employs 60 different people in five different Asian offices. The company imports furniture ranging from dining sets to occasional to bedroom, home office and upholstered furniture. The decision two years ago at Steve Silver Co. to switch from moving most of the company’s cargo through West Coast ports to Port Houston was not made lightly. But company executives were pleased after discovering the benefits that were realized. “We found that routing our cargo through Port Houston was not only a price-competitive decision, but it also gave us more reliability once the container hit the port,” said Brett Kendrick, who focuses on ocean freight for the company. “One of the greatest benefits is how it simplifies the final leg of the furniture’s journey to our warehouse in Forney, Texas. ” Much of Steve Silver‘s cargo that moves across Port Houston’s docks is trucked to the company’s warehouse in North Texas on that final leg. The cargo being brought in by Steve Silver Co. is representative of what is transpiring at Port Houston overall. While 15 years ago little cargo from Asia was moving across the docks, imports from Asia now make up 41 percent of overall imports. You can learn more about Steve Silver Co. in the port's magazine.